Frame any mymusicfix album for $24.99 + the cost of the album. Turn your favorite album or band into and incredible piece of wall art for your home or office. Also, it makes for an incredibly unique and thoughtful gift for birthdays or the upcoming Valentines Day. Special Offer: Order more than $50 from this mymusicfix newsletter and receive a FREE T-Shirt. T-Shirts may also be purchased individually, see below for details. To purchase any of the following items, please scroll down to the bottom of the newsletter for payment instructions. 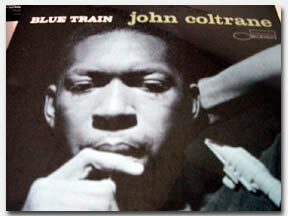 $9.99 John Coltrane "Blue Train" LP. This is Coltraneís signature sound; fully developed but still hewing more to familiar blues and chromatic harmonies than his later modalities, and his partners respond vividly throughout the recording. Tracks include: Blue Train, Moment's Notice, Locomotion, Iím Old Fashioned, Lazy Bird. 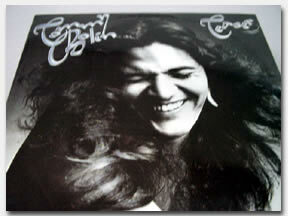 $9.99 Tommy Bolin "Teaser" LP. After performing in a variety of bands since the late '60s, Bolin finally released his first solo album in 1975. TEASER is an impressive display of the guitarist's prowess and range; also a natural progression from the previous Bolin that dominated the James Gang albums Bang & Miami, and his work with drummer Billy Cobham. 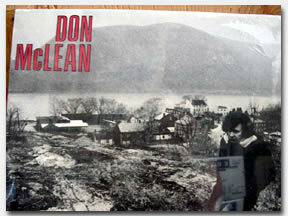 $9.99 Don McClean "Don McClean" LP. No other singer-songwriter of the 70's tugged at the heartstrings quite the way Don McLean did. Unfortunately, he will always be remembered for American Pie, but there is much more to Don McLean, as you will find out in this album. Tracks include: Dreidel, Bronco Bill's Lament, Oh My What A Shame, If We Try, More You Pay, Narcisissima, Falling Through Time, On The Amazon, Birthday Song and Pride Parade. $9.99 Roger Waters "The Pros and Cons of Hitch-Hicking" LP. With Eric Clapton's valuable assistance, Waters takes the concept album to new heights on this 1984 masterpiece, his first LP after leaving Pink Floyd. Each of the 12 songs represents a scene of a surreal dream/nightmare, and Waters brilliantly captures the pendulum of emotions. 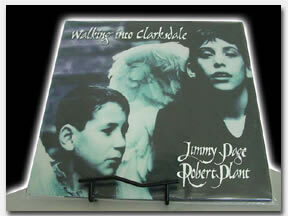 $9.99 Page & Plant "Walking Into Clarksdale" LP. This is a Very Rare MISPRINT where side 2 and 3 are the same and is missing three of the twelve original songs. If you understand collectibles, you will immediately know how Rare unique misprints are within the Audiophile LP Market. Tracks include: Shining in the Light, When The World Was Young, Upon A Golden Horse, Blue Train, Please Read The Letter, Most High, (Side 2 and 3), When I Was A Child, House of Love and Sons of Freedom. 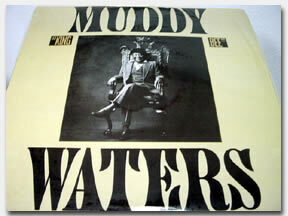 $9.99 Muddy Waters "King Bee" LP. Muddy Waters' final album, King Bee is also the last of the three late seventies/early eighties albums produced by Texas blues guitarist Johnny Winter. Here 66-year old Waters is backed by virtually the same band that he worked with on Hard Again and I'm Ready, and the arrangements are superb. A classic blues album. 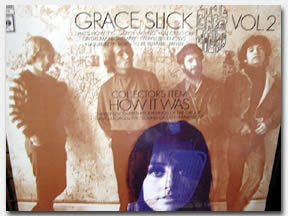 $12.99 Grace Slick "How It Was Volume 2" LP. Playing here with Great Society, this LP includes live tracks, some of which were latter re-done by Jefferson Airplane. 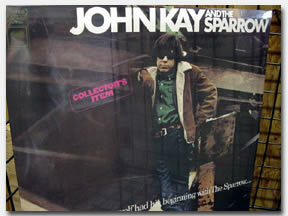 $12.99 John Kay "John Kay & The Sparrow" Collectors LP. His work before Steppenwolf, this very rockin/blues album was part of the evolution that became a dominant force in the mainstream music industry. 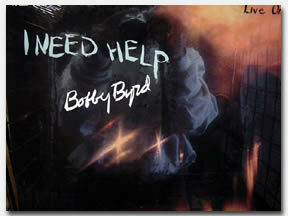 $19.99 Bobby Byrd "I Need Help (featuring James Brown)"Bobby Byrd wrote songs with James Brown early in both careers, and was also in James' back up band before breaking off on his own. If you dig funk and soul, Bobby Byrd is your man. 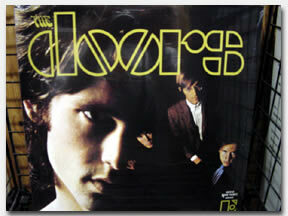 $19.99 The Doors "The Doors"
Considered one of the five greatest Rock n Roll Albums of All-Time this 1967 release profoundly influenced a generation. Featuring Light My Fire, Break On Through, Crystal Ship, Soul Kitchen- 20th Century Fox, Alabama Song, Back Doorman, I Looked At you, Take it as it Comes, End Of The Night and The End. 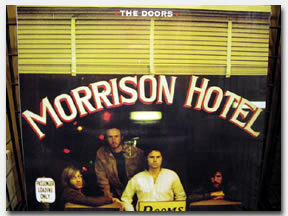 $19.99 The Doors "Morrison Hotel"
This album is a return to their roots with psychedelic musings, a smoldering blues sound and skittish guitar playing mixed together in one immense, leather-clad, California highway-roaming, rolling stone of an album. Tracks include: classics such as Roadhouse Blues, Peace Frog, The Spy, Queen of the Highway, Indian Summer and Maggie M'Gill. 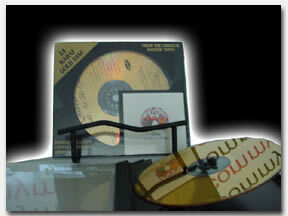 DCC Sealed 24-Karat CD, First Edition Japan Pressing with a lift-lock jewel case. If you are a true collector you know that both MFSL and DCC 1st generation Japan Pressings never came with j-cards or cardboard outer sleeves; this is the only way a collector can really verify they are receiving an original Japan pressing. Tracks include: such monster songs as Heard It Through The Grapevine, Whoíll Stop The Rain, Run Through The Jungle and so many others. 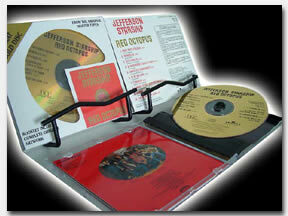 $39.99 Jefferson Starship "Red Octopus"
DCC Sealed 24-Karat CD. A landmark release for the Starship in the summer of 1975, Red Octopus was a Billboard Charting Number One and features the classic rock staples, Miracles, Play On Love and so many more. 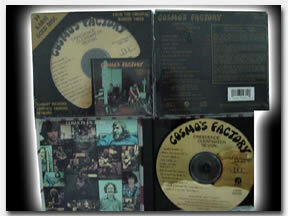 A must have for any fan of Starship or simply anyone who enjoys great rock n roll! $49.99 Queen "Night At The Opera"
DCC Sealed 24-Karat Gold CD. This CD is a piece of musical audiophile history and is the best, by far, 24-Karat Gold Pressing of this classic Queen recording. This incredible piece of work tracks such as Death of Two Legs, Sweet Lady, You're My Best Friend, The Poet Song, the pseudo-operatic masterpiece Bohemian Rhapsody and so many more. $9.99 Mymusicfix T-Shirts. 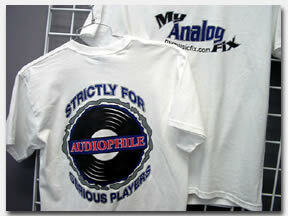 Show who you are as an audiophilist with a mymusicfix T-Shirt. T-Shirts are 6.1oz, 100% pre-shrunk cotton featuring a front and back of T-Shirt print. Mymusicfix Packing & Shipping: Mymusicfix goes the extra mile to make sure that your purchased vinyl or cd arrives in perfect condition. Our shipping may cost a little more, but nobody, and we guarantee nobody, uses as much protective packaging, care and time to insure your vinyl or cd arrives safe.